The BicoLOG® antennas support low frequency measurements down to 20MHz thanks to their biconical setup. Because of this they are ideal for EMC Precompliance measurements in the lower frequency range. Every BicoLOG® includes a CD containing high resolution calibration data. Optimal for the usage with a spectrumanalyzer for high-quality EMC measurements in the lower frequency range. For interference field strength measurements and EMC immunity tests. The "X" models include a low noise pre-amplifier (Operation via battery or power supply). Can be used without the pre-amplifier. Robust design, usable outside and mobile. The HyperLOG® antennas offer a high directional accuracy and gain via a logarithmic periodic (LogPer) construction. Because of this they are ideal for EMC Precompliance Measurements in the higher frequency range. Every HyperLOG® includes a CD containing high resolution calibration data. Optimal for the usage with a spectrumanalyzer for high-quality EMC measurements in the upper frequency range. Calibration data can optionally be saved and read using an IC on the antenna. Polarization plane is freely adjustable. 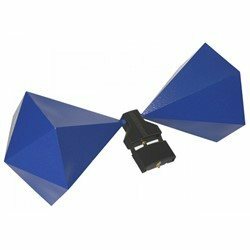 The HyperLOG® EMI antennas combine the advantages of a biconical and a logarithmic-periodic antenna and support the entire frequency range from 20 MHz to 3/6 GHz with a single antenna. Because of this they are ideal for EMC Precompliance Measurements in the complete frequency range. 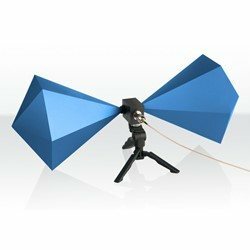 Due to the extremely high accuracy of 0.3 dB over the entire range, these antennas can even be used as a reference antenna. This enables the user to calibrate the complete measuring setup. 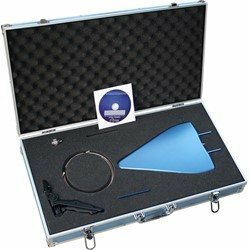 The delivery of each HyperLOG® EMI includes a CD with the complete, high-resolution calibration data. The use of the HyperLOG® EMI eliminates the usual and very error-prone antenna exchanges, since only one antenna for the entire frequency range is required. This saves considerable costs since the measurement time is drastically shortened and recurring errors in the antenna conversions or cable connections are completely eliminated. 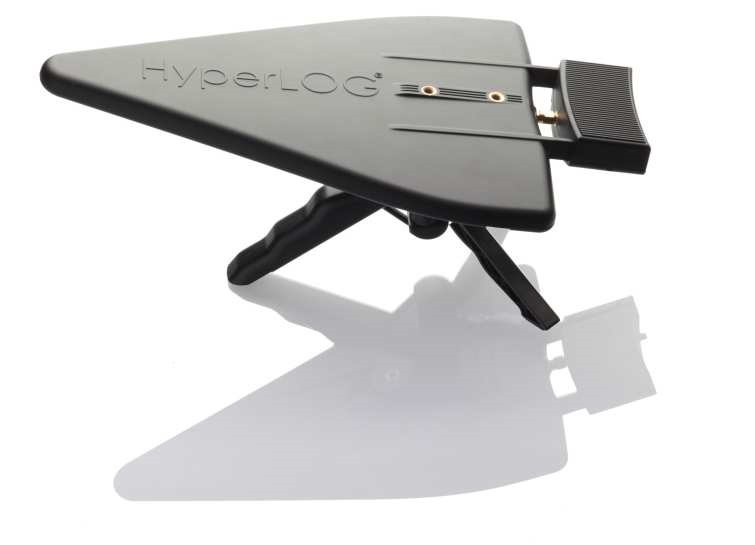 The HyperLOG® EMI can also be used as a high-performance transmit antenna with up to 310 watts. As a result, the antenna is easily suitable for immunity measurements, even if very high field strengths of more than 10 V / m are required. Optimal for use with a spectrum analyzer for high-quality EMC measurements over the entire frequency range. Ideal for interference field strength measurements and EMC immunity tests (FCC15, EN55022, EN55011, CISPR, ...). 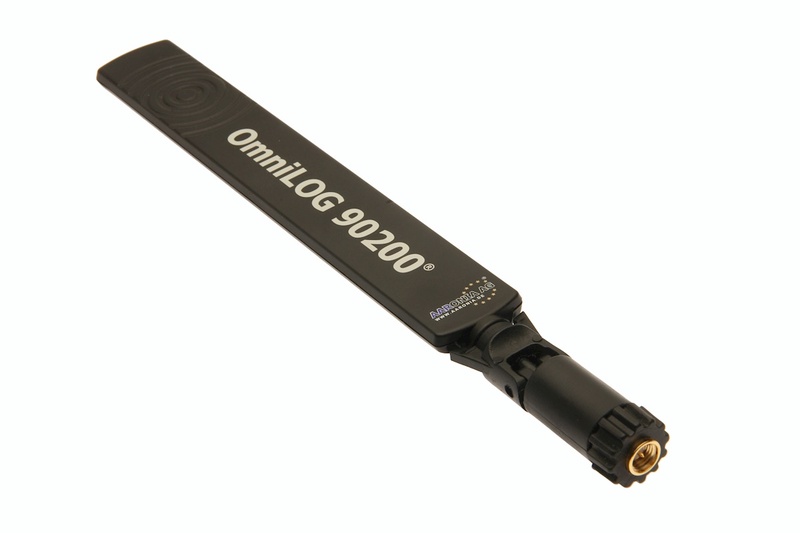 The OmniLOG® antennas offer omni-directional receiving characteristics. With this it's possible to measure the direct, radial field strength without adjusting the antenna. Optimal for the usage with a spectrumanalyzer for measurements in the LTE, GSM (GSM900, GSM1800, GSM1900), UMTS and WIFI frequency ranges. 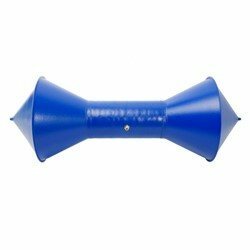 Biconical antenna with a frequency range starting at low frequencies. SMA wrench and calibration data on CD. Pre-amplifier with battery and power supply, SMA wrench and calibration data on CD. 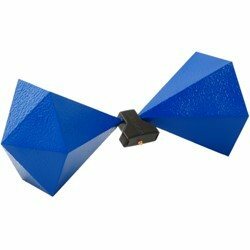 Biconical antenna with a frequency range starting at low frequencies. EMC version (E) with optimized behavior in the lower frequency range. Aluminium carrying case, SMA wrench and calibration data on CD. Pre-amplifier with battery and power supply, aluminium carrying case, SMA wrench and calibration data on CD. in 10-30 days in stock. Small tripod for the Aaronia HyperLOG and BicoLOG antennas. 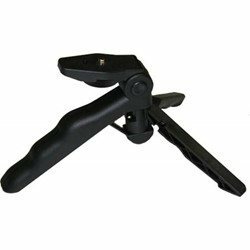 The mini tripod can be converted into a pistol grip. 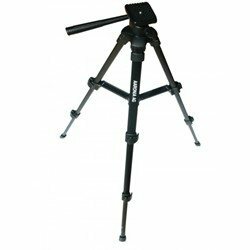 Height adjustable (max 105 cm) tripod. Strongly recommended for usage with bigger antennas like HyperLOG 30xx and 40xx! LogPer antenna with wide frequency range, excellent directional characteristics and high gain. Pistol-shaped handle with miniature tripod function, aluminium carrying case and calibration data on CD. 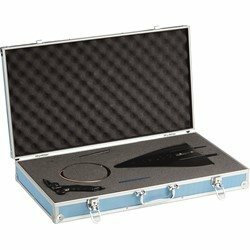 Pre-amplifier with battery and power supply, pistol-shaped handle with miniature tripod function, aluminium carrying case and calibration data on CD. Tripod connection 1/4 "+ 3/8"
Biconical LogPer antenna with extremely high accuracy of 0.3 dB over the full frequency range from 20 MHz to 3 GHz. Ideal for EMC emission and immunity measurements (ideal for FCC15, EN55022, EN55011, CISPR). 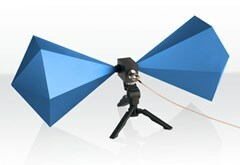 Biconical LogPer antenna with extremely high accuracy of 0.3 dB over the full frequency range from 20 MHz to 6 GHz. Ideal for EMC emission and immunity measurements (ideal for FCC15, EN55022, EN55011, CISPR). Any height adjustable, high stability. Is strongly recommended when using HyperLOG EMI antennas. Omni-directional antenna with a wide frequency range and high gain. Radiation Measurement System with a Frequency range from 600 MHz up to 4 GHz. Base accuracy ±1dB and a Repeatability of ±0.5dB Incl. standard turntable 7.5 kg / 16.5 lbs. Measurement Antenna, Measurement Receiver, Antenna Base, Turntable(7.5 kg / 16.5 lbs),Cables and Tools. Measurement Antenna, Measurement Receiver, Antenna Base, Turntable(7.5 kg / 16.5 lbs), Cables and Tools. The R&S®HA-Z1900 are 1710 MHz to 1990 MHz directional Yagi antennas. They are easy to handle and designed as a (passive) receiving element in regulated frequency bands. In combination with the R&S®Spectrum Rider FPH, you can use it to hunt for interfering signals. 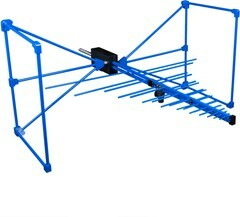 The R&S®HA-Z1900 are 824 MHz - 960 MHz directional Yagi antennas. They are easy to handle and designed as a (passive) receiving element in regulated frequency bands. In combination with the R&S®Spectrum Rider FPH, you can use it to hunt for interfering signals. 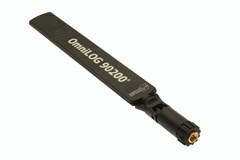 Handheld logarithmic yagi antenna 700 MHz to 4 GHz for use with the R&S Spectrum Rider spectrum analyser.